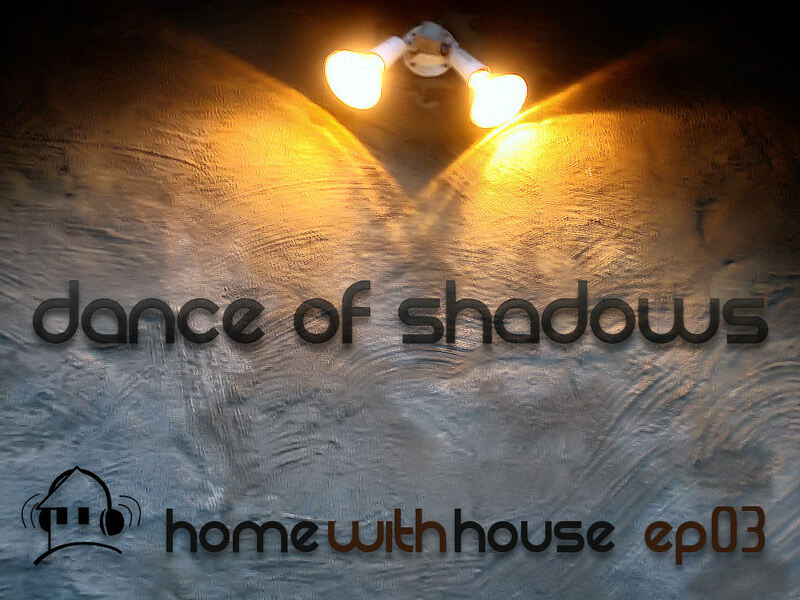 Episode 3 of the Home with House podcast is all about funk. I'm into funk style dancing and this is the type of music that I like to get down to. This mix starts off with some funk house and eventually moves towards some more soulful house near the end while always keeping a bumping bassline suitable for dancing. You may also notice that this episode is just under 60 minutes, where the previous ones were a few dozen minutes longer. One of my goals with this podcast in the future is to perhaps get played on some internet radio stations, or possibly featured on other similar websites. Such features are usually 60 minute spots, so I figured I might as well aim for that requirement now rather than later. That way, if I do ever get such an opportunity, I'll have plenty of archived episodes that can continue to be used as show archives. Anyways, this episode is called Dance of Shadows and it will keep you dancing, or grooving, for the next hour. Please leave any feedback you have in the comments below. Happy Valentine's Day! Very enjoyable mix. Good one on making it closer to an hour, smart stuff. Remember personal info for next time? Please answer the following question to help prevent bots from spamming my comments.